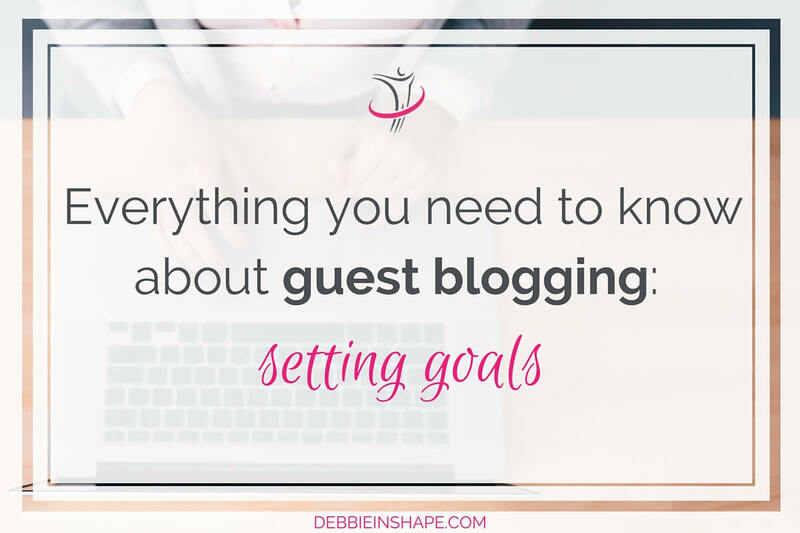 Setting guest blogging goals is something that still scares off many writers. To show you that it’s not a boogieman here is a series of posts on everything you need to know about guest blogging but never dared to ask. If you ask me who should write guest posts, my answer is, everyone. And I don’t mean every blogger. It’s really for everyone. But why is that? I have already told you how guest blogging is great for bloggers, but the truth is that everyone can benefit for having one of their articles being published. What does LinkedIn have to do with guest blogging? When you write about a certain topic, you have the chance to share your expertise. If you know something well enough you can share it with others, you are an expert. Whether it’s about your field of work or product you are promoting, a guest post can help you get exposure and generate leads, even if you aren’t a blogger. 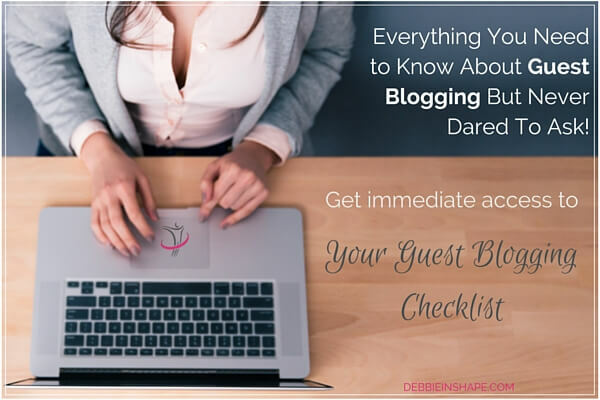 I hope I got you excited about writing your first guest blogging, whether you are a blogger or not. But how do you get started? One friendly advice I’m going to give you is that before starting to shoot for the stars that you first work your guest-blogging muscle out. Practice makes perfect and guest blogging is no exception. It’s always possible that you get lucky and land a big opportunity on your first try, but that’s rare. Besides, luck doesn’t depend on you or on your content. Something as important as guest blogging is better to be under control not left to chance. 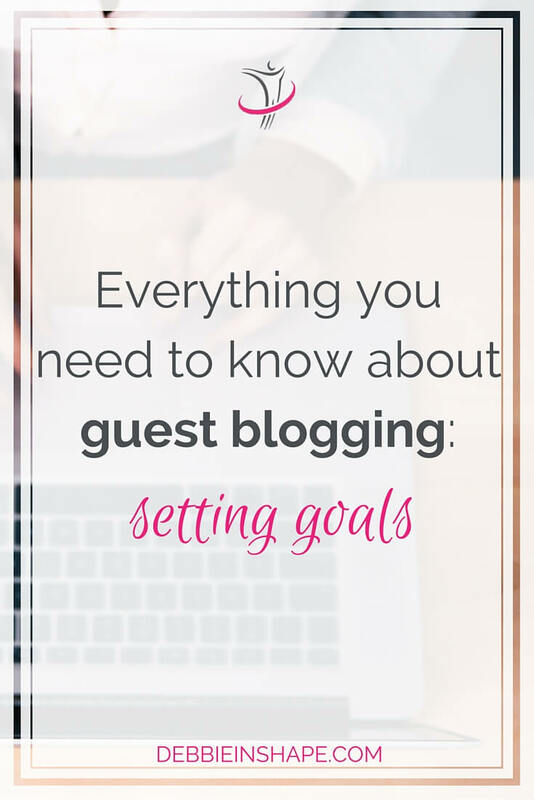 On this first post on the series Everything You Need to Know About Guest Blogging, we will be focusing on the preparation work. What do you have to do before sending out pitches? We come to the main topic of this issue: guest blogging goals. Believe it or not, you also need goals when planning to write guest posts. It has already happened to me that opportunities just showed up, but as I wrote before, it’s better when you are in control. Whatever topic you choose for your guest post, you’ll get better results when it’s something you know well. First of all, if you just pick a subject you consider cool and think that it’s what the host wants to have, but it’s a topic you have little to no knowledge of, it’ll show on your pitch. When you aim for bigger sites who are accustomed to receiving hundreds of pitches every day, they smell something fishy by far. In such cases, consider yourself lucky if you get a candid response from them. Besides, hope they’ll not remember you by the time you use a qualitative approach. There’s no right or wrong topic. It’s all a matter of niche. Few sites offer a broad range of subjects like Debbie in Shape. With Personal Improvement, you cannot go wrong (unless you write about life Mars, for example). But when aiming for a specific niche, be sure it’ll give you the chance to show all your knowledge and experience in that field. This is the goal that attracts most non-bloggers, (small) business owners and service providers in general. Comparing the two goals, one can say that “reinforce expertise” is qualitative while “get exposure” focus more on quantity. Needless to say that you can get both whichever you choose, but the approach will be slightly different. My point is: both sell clothes, but because their ideal customer is different each one has a totally different approach to how they market their brand. Things that help you get exposure, mainly when you are beginning with guest blogging, is having in mind the engagement of a website and of the host. If a site receives thousands of visitors every day, but no one leaves a comment how can you interact and build a relationship with them? While smaller sites with a loyal tribe have readers who will be willing to stop by and get to know you better. This is probably the most popular reason why many bloggers decide to guest post. However, it has also become the biggest no-no when done in extreme. The rules of guest blogging used to be as weird as the ones of SEO until some years ago. It was not unusual to find an “article” composed of tons and tons of backlinks back to the author’s page. Some tried to do with class, but mostly it was just madness. If you want to hit a guest post on a site that values you and your content, limit backlinks to your bio. There, you can redirect readers to a landing page (excellent to generate leads) or your blog. A second link to your favorite social media platform is also welcome, but that should be it. So even if you define that your goal for guest blogging is building backlinks, be aware of best practices. It’s going to be the quality of your content (and other aspects we will discuss later in this series) that will drive new public to your website, product or service. When done the right way and with the correct expectations, guest blogging for backlinks is a goal as valuable as any other. 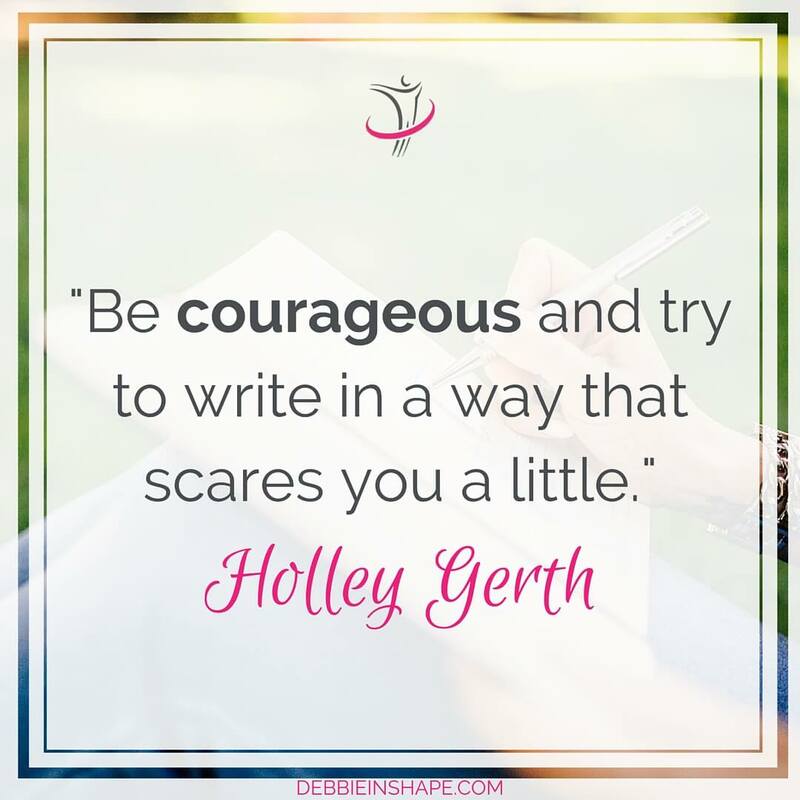 For this week, I’ll leave with you the homework of deciding your guest blogging goals. If you don’t know where you are going, it’ll be impossible to set up an action plan. What fits your needs better right now? Would you like to become known as an expert in a certain field? Let’s say you just acquired a certification or opened a startup and you want people to discover how knowledgeable you are about the subject. Or you want to promote yourself as a go-to person and reference in your niche. Would you like to drive visitors to your website to help you establish your stats? Whether because of rebranding or because you want to increase your chances to land marketing campaigns, you want to increase your number of visitors. How great would it be if a guest post of yours was published together with the launch of your new product or service? Would you like to strengthen your domain authority? If you haven’t checked the domain authority of your website yet, install Moz’s Chrome add-in MozBar. It predicts how well a website will rank on search engines. If you want to read more about it visit Moz. I truly hope you’ll find this series helpful. Guest blogging is an amazing opportunity to get visibility and build credibility, but it has to be done right. 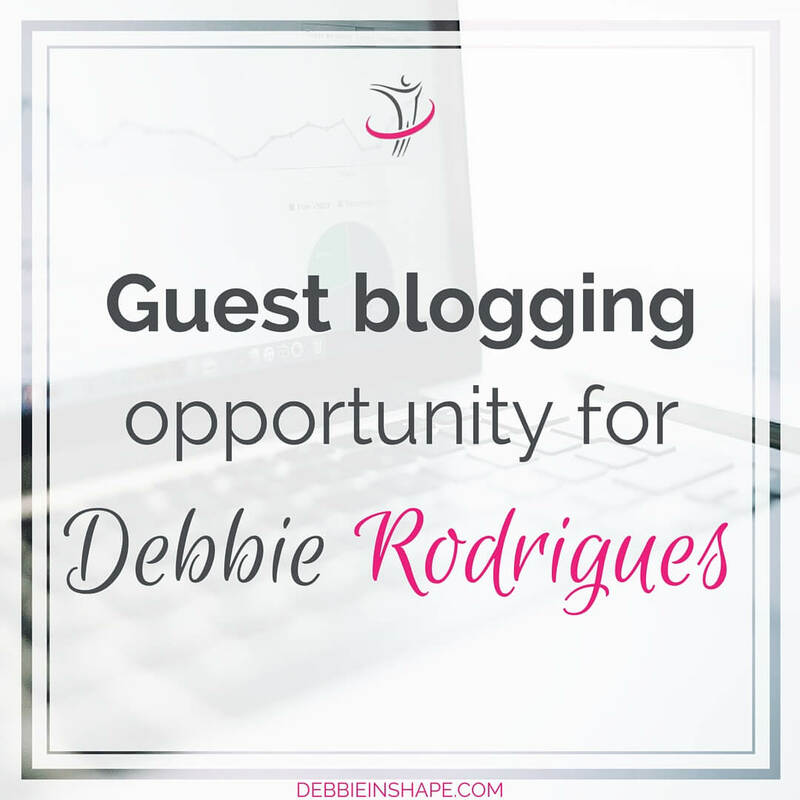 Remember that we are now offering guest blogging opportunities on Debbie in Shape. If you want to get started or practice your skills with us, it’ll be a pleasure to host your post here. Guidelines and details are available here. I cannot wait to read your pitch! Make sure you come back next week for more guest blogging tips. Or sign up to receive an email notification whenever a new post is published. What are your main guest blogging goals?